Increase revenue after the transaction by managing the lifetime of the contracts, including reminders, notes, parties, responsibilities, etc. 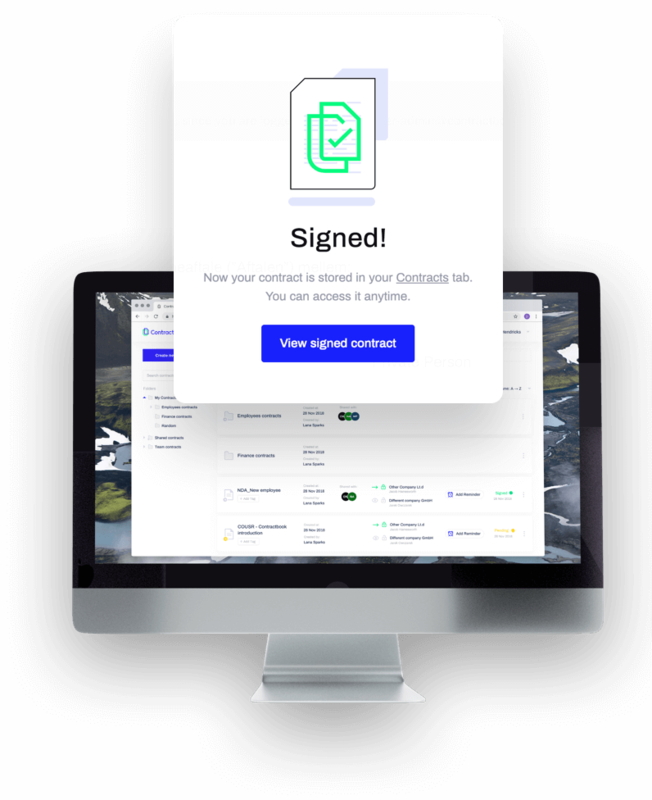 A digital contract management platform for legal professionals; monitor and manage your clients' legal documents digitally, efficiently and securely. 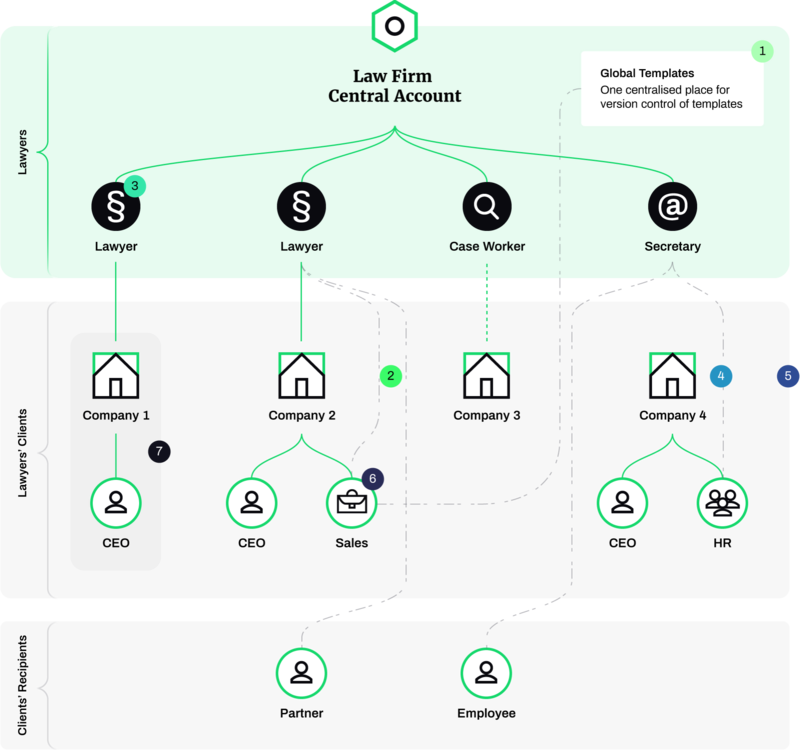 This is our vision of a customer-centric structure of the legal industry. Suits is created to bring clients and lawyers closer together with easy collaboration and increased insights. Click the numbers for details! 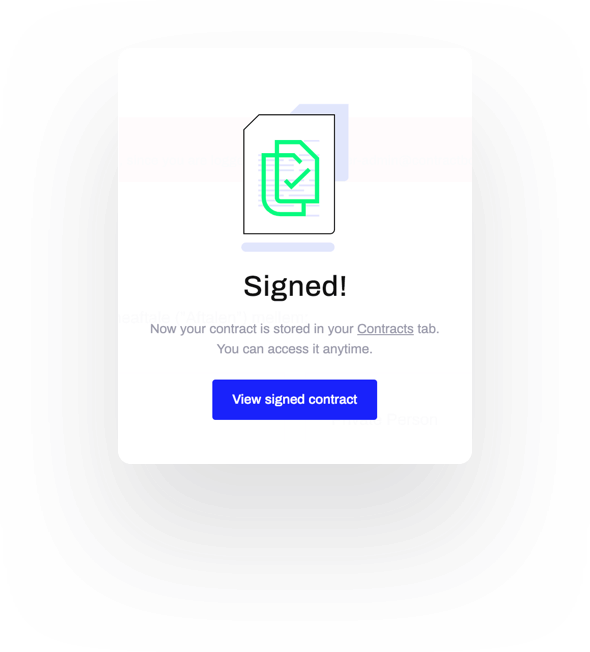 Contractbook makes contract management easy and efficient. 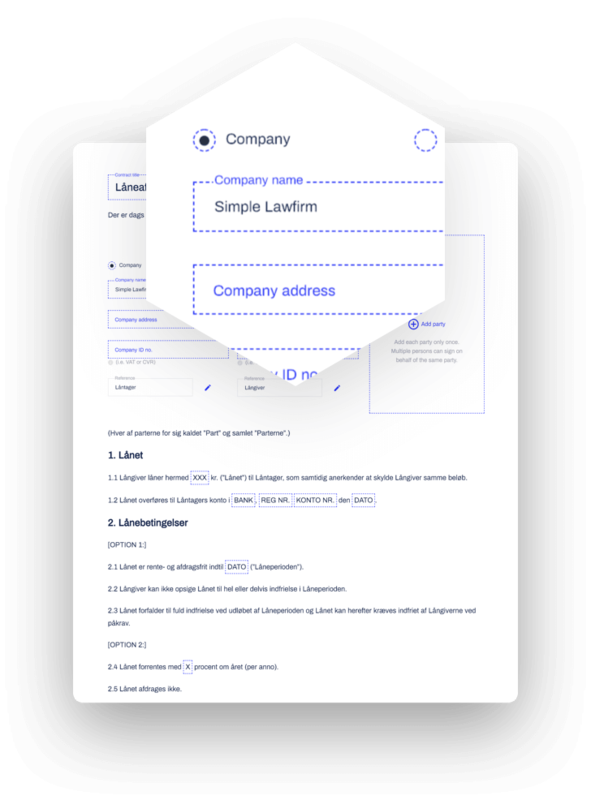 We have more than 35,000 users that create, sign and store their legal documents on the platform. Improve your workflow efficiency, get closer to your clients and receive valuable insights on your clients' legal affairs with streamlined data. Increase your brand awareness and deliver commoditised legal services for your clients by using our custom white label solution. 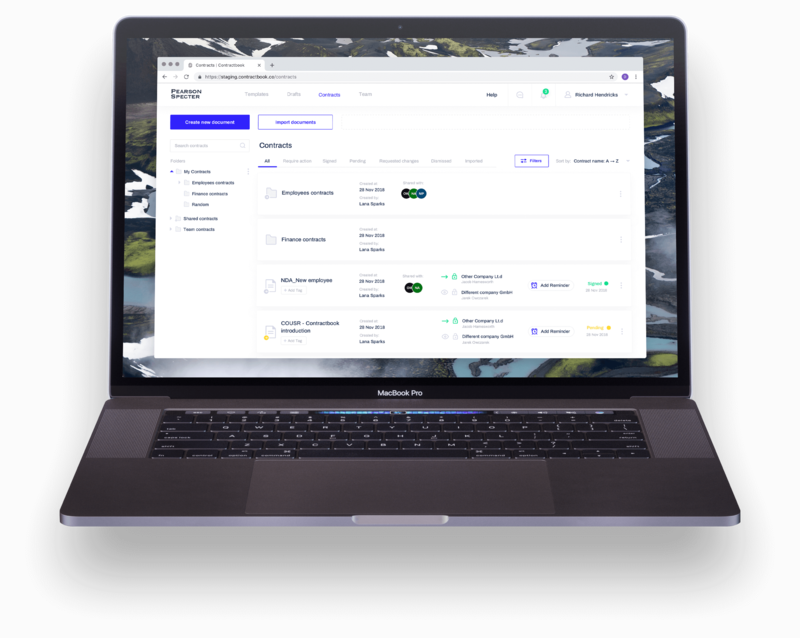 Track how your clients engage with your legal services the dashboard that gathers data from all connected clients and teams. Develop revenue streams and new types of value by leveraging the platform and offering business models suited for the digital age. 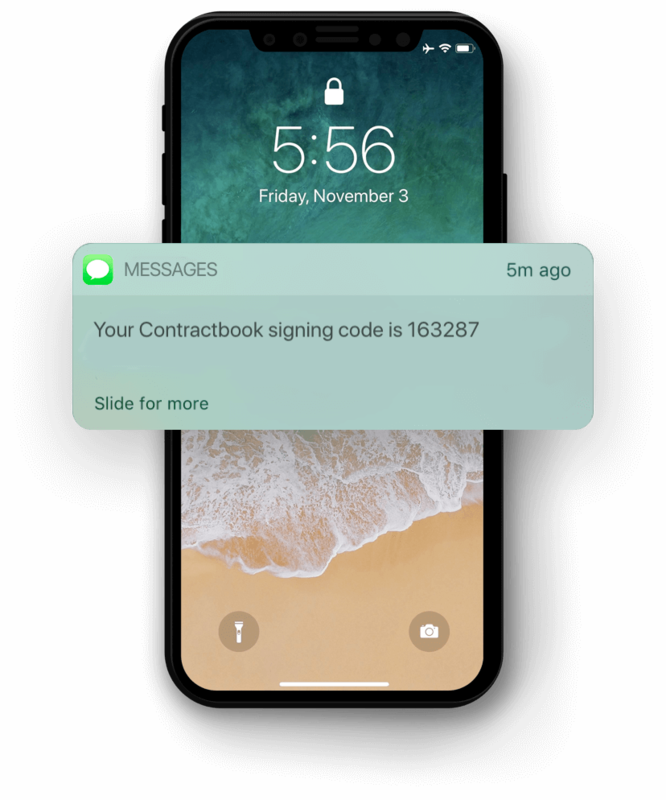 Observe your clients' contract negotiations and conduct legal reviews to win new clients among the platform's userbase. Control how your templates are being used and shared. Perform synchronized updates on multiple clients with a few clicks. Be more proactive by having access to monitor your clients' legal affairs. Make sure they are compliant - always! Setting up the team structure increases overview and transparency within the organisation. Get closer to your clients and understand the inner workings of their business.